Over the last several years, since creating this blog, thousands of people have written in asking for help or seeking guidance on ghost and/or spirit related issues. I’ve written several posts addressing a good majority of those questions, but my purpose for writing this one is to address the ones I get asked on a regular basis. First, I’d like to clear up the difference between a “Ghost” and a “Spirit”. A ghost is residual energy generated from repetitive behavior or from an emotionally charged moment. The “ghost” replays the behavior or moment over and over again (think of a scene in a movie on continuous replay). Ghosts do not have a consciousness so you cannot interact with them. If there is one thing you do NOT have to be afraid of, it’s a ghost! A spirit, however, has a consciousness, making it possible to interact with them. Spirits can be good or bad (ghosts are neither) and since they have a consciousness (and thus a personality) they can manifest for good reasons or not so good. Most spirits, however, are not out to cause trouble. At least, in my experience that is the case. So with that understood. Let’s proceed! 1. You get a FEELING that someone is watching you. Although you can’t see anyone, you KNOW you aren’t alone. If there are others nearby, you also know it isn’t them you are sensing. Sometimes you may even hear noises like footsteps or the rusle of clothes. You might even hear breathing! This is very common and I would even venture to say that MOST people have experienced it. Sensing the presence of others, be it a person, spirit or ghost, is your extra-sensory perception at work. We can sense them because we are beings of energy and as such can naturally sense other energy bodies (be they physical or spiritual). This is especially important because its a defense mechanism as well, a sort of safety-design feature in our DNA makeup. If it’s a ghost you are sensing then you might also hear a repetitive sound, like walking, sobbing or laughter. Ghosts do the same thing over and over, which is why people often report similar experiences in places known to be haunted. If it’s a spirit, however, then whatever it is they are doing, it isn’t repetitive. It’s usually a one-time event that is often (but not always) accompanied by other paranormal phenomena. For example, a rocking chair might suddenly start rocking and then you might feel someone touch you or breeze past you. Both are separate, non-repetitive events. Ghosts do not make chairs rock. Well, if it was a repetitive behavior they often engaged in they might do that, but then you wouldn’t also feel them touch you or breeze past you. Besides, ghosts do not do any touching and you certainly won’t feel them breeze past you. They simply are on “automatic rewind”, doing something over and over. As I’ve explained, ghostly apparitions are caused by emotionally charged events or repetitive behavior. For instance, if a person often paced in a particular room of a house and their emotions were charged (the emotional factor is what creates the ghostly event), that repetitive, emotionally charged behavior might become part of that room, making it possible to still hear their pacing long after the person has passed into spirit! It’s a crazy, interesting and sometimes scary phenomena. Another explanation for those feelings of being watched (and the most likely one, especially if nothing else accompanies the feeling … i.e. no sounds) is that you are sensing your spirit guide or your guardian angel! Both are with us ALL THE TIME. We are most likely to sense them when we are at rest … such as when we are napping or retiring for the night. So, if you are just FEELING like you are being watched or sense that someone is near but you don’t hear any accompanying noises or other phenomena, then it is likely your spirit guide or guardian angel. How comforting, right? So what can you do about it? Well the first thing you should do is protect yourself because, after all, you aren’t sure what it is you are sensing. You do this by focusing on your spiritual energy (which is very powerful) and then giving this energy an intended purpose. One way to envision your spiritual energy is to imagine a bright ball of light glowing within you, near the center of your being. To activate it for the purpose of protection, you simply see this light (in your mind’s eye) expanding throughout your entire body then glowing outward around you. While imagining this, know that your purpose for this imagery is for protection. Negative entities (of the spirit world) cannot enter your spiritual light and if you are not comfortable with loving entities being within it, then ask them to leave. Anytime you feel scared in this regard, just envision that light glowing in and around you! It’s that easy, folks. Seriously. In fact, whenever you are encountering negative energy of any kind, you can activate your spiritual light to protect you from becoming engulfed or influenced by it! 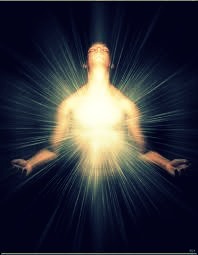 If it’s a ghost you are sensing, your spiritual light (powered up by your visualization) will dissipate its energy. 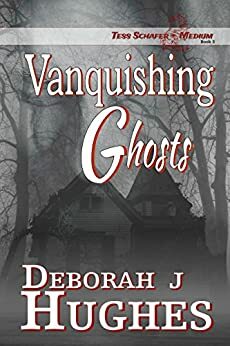 Although there is no need for protection because ghosts can do no harm, it’s still comforting to know that you have a safety net cocooned around you! If it’s a spirit you are sensing, your protective spiritual light will keep you safe, even if it’s a particularly nasty spirit. YOU are in power here in the physical world and when you consciously take charge, they are powerless against you. Since I expect you’d rather the spirit not hang around, you can order it to leave you in peace. But do this while your spiritual power is boosted by your visual stimulation. You might not be able to vanquish a spirit forever (they, too, have free will after all), but at least it will leave you in peace for that moment. Negative spirits shy away from spiritual light and loving spirits will leave because you asked! If it’s your spirit guide or guarding angel but you aren’t SURE, ask them! Seriously. Put out the mental question … Are you my spirit guide? Are you my guardian angel? The first answer to come to you, without having any time to THINK about it, is likely their answer. Take comfort in it. Don’t ask them to prove it somehow, they don’t play those games and besides, it’s likely to only frighten you if they did! You should feel a sense of peace within you when you acknowledge their presence. They truly do promote good feelings within you. Trust me on this one!! 2. You feel a sudden chill or a sudden warmth, encounter a cold or hot spot, are suddenly overcome by a sense of dread, become nauseous or smell something that has no logical explanation for its source. If what you are sensing is unpleasant, then it’s likely that it’s either a negative spirit or a horrendous past event took place there. If what you are sensing is from a horrendous event from the past, then you should encounter nothing more than the unpleasant sensations. No harm will come to you. People who have visited the concentration camps in Germany, for example, have often experienced some of the above mentioned phenomena. The location of where the twin towers in New York used to stand is another area that might cause these unpleasant sensations. If you are sensing a negative entity, however, then get your protective light powered up! In the case of it being residual energy from a past event, there isn’t much you can do other than leave. But if you are stuck there for whatever reason, you can try to dissipate the negative energy to make it more tolerable for you. You do this by envisioning the area glowing with bright, bright light. Picture the light (in your mind’s eye) coming from above (though “heaven” is not ABOVE you, per se, the imagery of light coming from above is symbolic of God, or whatever higher intelligence you believe in). This visual represents the awesome power of spirit and your use of it, which we all have the ability to do, simply by using our imagination. It also wouldn’t hurt to activate your personal protective light just to be on the safe side! If this is happening in a place where you will be visiting often or spending a lot of time, then try smudging. Smudging is the use of sage or sweet grass (or a combination of both) to dissipate negative energy. Other herbs or incense can do this as well, but this is my preferred method. You light a bundle of it on fire then blow it out and the resulting smoke is waved about the area. Disseminate the smoke from the smoldering bundle as much as possible. Another thing you can do is say a prayer over the area, asking for it to be infused with love and spiritual protection. All those measures just mentioned can also be used to dissipate the energy of an unpleasant spirit. In addition, however, while envisioning the area infused with light, say a prayer of protection, requesting that negative entities not be allowed to return. Ask the angels to protect the area as well and then, for added measure, place something of meaningful spiritual value in the room. Such items can be a cross, an angel figurine, a picture of Buddha, ANYTHING that means something to you. Not only will that promote positive energy, but whenever you see it, your understanding of WHY it is there is reinforced! Another added visual is to imagine the doors and windows sealed with a force of light. Such areas are portals to the spirit world and “sealing” them in this way closes the portals. And don’t forget the fireplaces if one is present. The chimney, after all, is an opening to the outside and thus another port of entry! Now sometimes people get pleasant smells, like flowers or a perfume that reminds them of someone who has passed into spirit. You might smell tobacco smoke or the aroma of a pipe that is associated with a loved one who has passed. Unexplained smells that remind you of someone in spirit is very likely that person coming around for a visit! Embrace these special moments, open your mind to them, picture that person being with you and enjoy their company! 3. Objects fall from their location, are moved or are moving, are suddenly found though you haven’t seen them in ages, or they disappear altogether. Why spirits take things, I cannot tell you. I know it happens often and has happened to me more times than I can count. Sometimes I find them again and sometimes I don’t. It’s very frustrating and annoying. I have had things disappear that I just set down only seconds earlier! And the question of the day is … where in the frick do they go? Someday I might actually get an answer to that one. As for objects that have fallen … like a picture off the wall or a personal item off a shelf … these situations are attempts by spirit to get your attention. For example, if a picture falls from its location or is found out of place and it is someone who has transitioned into spirit, it’s likely that person, or someone closely connected to them. They aren’t doing it to frighten you, they are trying to let you know they are with you. If a personal object falls or is moved elsewhere, let’s say a trinket that belonged to your grandmother, then it’s likely your grandmother trying to communicate with you. It might even be your grandfather since he is closely connected to her as well. In many cases like this, they don’t have any particular message other than wanting you to know they are near and still love you and care about what is happening with you. Although many people try to dismiss such incidents as coincidental … well that in itself is proof. A coincidence is spirit in action. Many people have told me about discovering a photo of a deceased loved one and finding it in a place that it should not be. This often happens after they were thinking about the person in question. When you put your focus on a loved one, it will draw them to you. Every time. Without fail. 4. You see shadows moving about or the dark silhouette of a person. Sometimes you might even notice lights blinking or flashing about the room (this one I see a lot!) or you might see a hazy mist or perhaps just a distortion in the air. Spirits have many ways of manifesting into our physical reality. Those listed above are some of the most common. Another interesting phenomena is that you are more likely to see them from the corners of your eyes. I was watching a TV show once about the human body and it said that our eyes are particularly sensitive there. It’s believed this was developed as a defense mechanism for survival. Early man, as you can imagine, had a lot of enemies to worry about. Having that extra sensory perception of things approaching from outside their normal line of sight was a life-saving feature. But it also had the added benefit of allowing us to see spirits. Although the things mentioned above are nothing to be concerned about, if you don’t want them to stick around then ask them to leave, but activate your protective light first. If it’s a negative entity, however, they might not want to do as you ask but with your protective light powered up, it’s unlikely they will stick around. If they do, though, your protective light will keep you safe. Good spirits will comply with your wishes. And, by the way, flashes of light, or blinking (twinkling) lights are often representative of angels! 5. You hear your name called, or hear disembodied voices, often indistinguishable. I have learned that this seems to happen most often when one is about to fall asleep. I think this is because your mind is relaxed and you are sort of “between worlds” (the physical and spiritual realities). It’s a great way for spirits to actually get through to you, enough so that you can physically hear them. Unfortunately, it doesn’t do much more than startle you, worry you and then make you wonder … who did it, why and what do they want. In all honesty, I just don’t know what they hope to accomplish. Maybe it’s just a good joke. You know, the “wait until they are about to nod off and then yell your name and scare the bejesus out of them” kind of joke. Ha, ha. Real funny. But seriously, I don’t see how a spirit thinks that is going to open the doors of communication. A medium might respond with a “Okay what do you want?” but most people are wondering if they really heard it and then are worried that they did! I do want to add that sometimes a spirit will call out your name and startle you awake. They might do this if you were suffering sleep apnea or were having a bad dream (for example) or they really want you awake for other reasons … fire perhaps, or someone needs you. They can be really helpful and I find that most comforting. If you are interested in who called your name and are not afraid, then try to relax, calm your mind and invite the spirit to talk to you. Just be sure to activate your protective spiritual light first! Better to be safe than sorry, especially when working with spirit. This one is particularly scary and I’m not sure what circumstance prompts a spirit to do this. Because it is more of a scare tactic, I tend to think that it’s not a friendly spirit doing the deed. This has happened to me and it was such a frightening experience that I will never forget it. I mean, that memory is ingrained into my mind and when I recall it, I do so with crystal clarity. In fact, along with the bed shaking, I saw an object get batted around the floor. Having two different paranormal activities occurring at the same time is pretty unsettling. Again, the BEST defense when it comes to spirit is to activate your protective spiritual light (I can’t stress this enough!). Just imagine it as I’ve outlined previously and then, for good measure, imagine that light filling the room and soaking into the bed. Negative entities will retreat. Good ones might stick around and bask in the light but if you ask them to leave you in peace, they will. Again, though, I must stress that it is unlikely to be a good spirit if they are shaking your bed. In fact, it’s probably a pesky, troublesome poltergeist, unless, of course, it was just a quick shake to wake you up. That’s different. 7. You suddenly get a very strong memory or feeling about someone who has passed. Sometimes, like “right out of the blue” you will suddenly think of someone who is now residing in spirit and the memories just fill your head. Depending on your mood, it could be a funny memory, a tender one or even something unpleasant. Usually it’s good memories and they bring with them good feelings. That is a loved one’s way of giving you a spiritual hug. They can get through to you easily enough by influencing your thoughts about them and along with those thoughts are often feelings of love. Enjoy those unexpected moments! In fact, sometimes you might even see other signs from them as well. For instance, on one of my birthdays I was driving down the road and thinking about buying myself an iced coffee at McDonald’s when suddenly I thought of my grandfather. It was a totally unrelated thought, the “right out of the blue” moment. It was a good memory and I enjoyed thinking about him. Then I said out loud, “Grampy, if you are here with me, can you give me a sign?” Seconds…like TWO seconds later, a car comes out around me and its brake lights come on as it stops briefly in front of me. Guess what was on the license plate. His NAME! I kid you not. And, by the way, it’s not a common name either. Grampy’s name was Lafayette and that was the name on the license plate. Oh yes, my dear grampy, I got your sign. 8. Your animals suddenly seem disturbed or they lock their eyes on something you can’t see. In fact, babies will often do this as well (track something with their eyes that you can’t see). They may even smile, laugh and bounce about with excitement. As for animals, dogs are especially sensitive to spirit and can often detect when a presence is around. In most cases it doesn’t frighten them though they aren’t always sure what to make of it. Let me reassure you that if it does happen to frighten them, it doesn’t necessarily mean you have a bad spirit in your midst. Some dogs are skittish and such things confuse and frighten them, just like people. However, if your dog goes into defense mode, baring teeth, hackles raised, ears low … then you likely do have a negative spirit energy around. Activate your protective light and mentally encompass your pet within its glow, then order the spirit to leave you in peace. If at all possible, it would be good to leave the area for a while and allow the entity’s lingering energy to dissipate. Later, when you get an opportunity, smudge the area or, at the very least, imagine your spiritual light filling the room and infusing it with positive energy. As for babies seeing spirits, it is most often their guardian angels or a loving family member they are seeing. Babies, you see, still have their “spirit eyes” for they have not yet become blinded by the veil of physical reality. In fact, our “spirit eyes” (also called a 3rd eye) are often open through the toddler years, which is why children are most often caught talking to “invisible” companions. Babies are in no danger from these wonderful visits, but if you notice them crying or appearing frightened, then you can activate their spiritual light for them (just imagine them glowing from the inside out) and say a prayer of protection over them. Further, ask their guardian angels to keep them safe. You might think this is automatically done, and for the most part it is, but sometimes we must ask for intervention. Guardian angels do watch over us but they must let life take its course, though they can intervene when ASKED, especially for protection. 9. Light bulbs blow out or electrical equipment acts up. Sometimes the spirit energy is so strong or chaotic (in situations involving poltergeists especially) they can cause light bulbs to blow or they can turn things on or off. Spirits can cause radios to change channels or cause static in cable reception. In the haunted house we lived in as kids, our light bulbs were forever blowing out and my parents had to keep a good supply of them on hand. In addition to blowing light bulbs, they sometimes turned lights on or off and they also liked to play with the tuner dial on my dad’s clock radio. One night the spirits turned the heaters in our tropical fish tanks all the way up and killed all of our fish! Yet another time they turned a blender on full blast in the kitchen. We’ve even seen the burners of our gas stove suddenly light or the water faucette come on full blast. All these things are scary because they are not “normal” and since a spirit is involved, that makes it even spookier. But keep in mind that none of these things have hurt anyone (well, except our poor fish!). For the most part, with the exception of poltergeist activity, these things are done to get your attention. Spirits want you to know when they are around. They are always eager to communicate, at least to a degree. Don’t expect them to give you answers to everything you ask them and don’t ask them about the future. They are not prophets. Poltergeists, however, are chaotic, confused and negative energy. That problem takes a bit more professional help to resolve. You should probably enlist the aid of either a medium, a witch or a paranormal group experienced with such things. Additionally, besides poltergeists, some spirits are just plain bad. I hesitate to call them “evil” for that’s a bit strong, but they definitely have “issues” and those spirits will take extra help to restore peace … to both the spirit and you. 10. You see loved ones who have just passed into spirit and they seem as real and alive as ever! Or you have a very vivid dream about them. It is a common occurrence for people to be visited by loved ones who have just crossed over. They don’t usually say anything, just look at you, but it’s a confusing experience, especially when you find out later that they’ve just transitioned into spirit. Consider this a goodbye and a blessing! Sad as it is to lose those we love, they will visit you often, especially when you are thinking strongly about them. They will do whatever they can to let you know they are there … make their picture fall or move an object out of place that you might associate with them, they might induce the smell of their cologne or perfume or they might come around as a bird or butterfly! I read a story recently where a woman told her daughters she would come visit them as a Cardinal (a bird whose presence often indicates a visit from a deceased loved one) and one day a Cardinal came and landed on one of the daughter’s arms (you can find that amazing story here). It wouldn’t leave though she tried to get him to fly away. How special is that? Butterflies are often used by spirit as well. 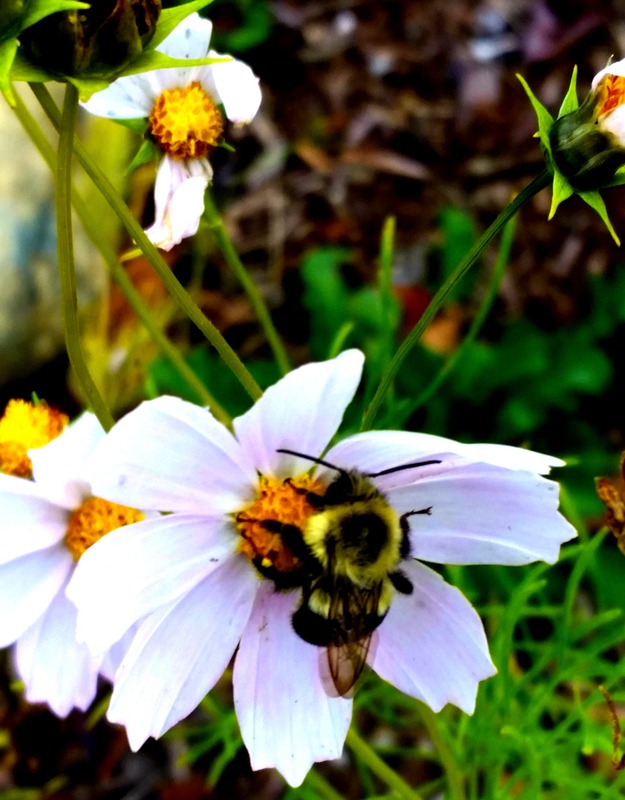 They are delicate creatures and easy for spirit to attach to, and when one flutters persistently around you, know that you are being visited by a loved one! As for dreaming about visiting with your loved ones, well those are NOT dreams, they are very real. In our dream state we are as close to our spiritual selves as we can be (other than during meditation) and so it is easy for our loved ones to visit with us in this manner. If, however, you have nightmares or bad dreams … those are NOT visits from your loved ones. They will NOT cause you stress and anxiety and guilt. That’s not how it works. As for why you are having bad dreams about them, well my guess is your feelings (based on worry, concern or upset) is causing the bad dreams. Believe me, when our loved ones pass into spirit, they don’t care about the stuff that happened to them “back here” in the physical world. They realize in that moment, that none of this (here in the physical world) really matters. We are here in the world to experience things … good and bad. Now when I say it doesn’t “matter”, I am not saying that we aren’t accountable for our actions while in the physical world. Oh no. We still must go through a “life review” and if bad things were done, we will be horrified and will seek redemption immediately. How that is achieved, I cannot say. My personal belief is that reincarnation will help balance such karma. To conclude, the signs above are just a few of the many different situations you might encounter with a ghost or a spirit. These ten, however, are the most common. Please believe me when I tell you that you aren’t alone in experiencing these things and you are not crazy! Also, please know that believing in this stuff doesn’t mean you are a bad Christian (I get questioned about that a lot too!). We are spiritual beings in physical bodies and when our soul is done with this world, we shed our bodies and become spiritual beings once again, free at last from the restraints of physical life. Our love and concern for those we “left behind” never stops and that is why we get visits from “over there” and that is why they are always trying to find ways to communicate. Before I finish this post, I want to apologize for not answering some of the questions I’ve received. Although I am busy writing, I intend to take time out of every day to attend to this blog. Speaking of my writing, I am busy with book 9 of my Tess Schafer-Medium series! 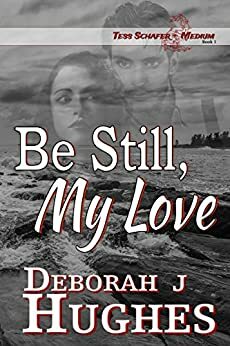 Writing these books is my way of sharing my understanding about the spirit world, through fictional stories, and while doing so, I continue to learn for I believe that spirit works through me to assist with the story telling. I feel very blessed in this manner. Until the next post, may your lives be showered with blessings! Please feel free to share your experiences with us and if you have a question, I’ll do my best to answer it. Onward, upward and ever forward! Peace out. Please feel free to share your experiences with us! Blessings and loving light to all of you! Dying to be Me, A Review of One Woman’s Afterlife journey! I recently read the book DYING TO BE ME, MY JOURNEY FROM CANCER, TO NEAR DEATH, TO TRUE HEALING by Anita Moorjani (Dying To Be Me) and I just had to write a review and share it with you! As a brief overview of the story…Anita was suffering with cancer, stage 4, and her body was shutting down. She entered a deep coma and as doctors waited for her life to end, she was experiencing “the other side”. When she regained consciousness (totally not expected), her cancer spontaneously healed and all her physical ailments improved. She is now a healthy and happy woman! She chose to come back, she says, and not stay “there” because she wanted to share her experience and their (Spirit’s) message with the world. What I love about this story is that it is a documented case. Meaning there are actual FACTS backing up her story…as far as the cancer being present, her physical condition during her near-death experience and the spontaneous healing of her cancer. I was inspired by the story for it had a wonderful, positive message. I was also excited to discover that some of the things Anita shared, mirrored sentiments that are expressed in my Tess Schafer-Medium series! I want to share with you a few of the things I got out of this book. I encourage anyone else who has read it to share their thoughts and what they got out of it as well! Or tell me what you think of this post! One thing Anita learned was that “Religion is just a path for finding truth: Religion is not truth. It is just a path. And different people follow different paths.” I love this because it is something I can readily accept. There are so many religions and I used to wonder…which one is the “right” one? Her concept embraces them all and tells us that no matter the path we take (the religion we choose to follow) they all lead to God. (Yay!) How we learn the lessons we wish to learn is a personal journey for each of us. Even when it seems we are sharing the same path, it isn’t the EXACT same path. I find it quite comforting that we all will learn what we need to know…eventually. Anita also states that “there was no other way of communicating in that realm other than through our emotions.” Wow! Not only does my character Tess Schafer state this quite often, but it is something I believe and have experienced myself! Communication with the spirit world is not always done with words. That’s why mediums have to navigate through their emotions very carefully. Their interpretation of the communication might not be how the recipient of the communication would interpret it. Speaking of emotions, Anita says that “our feelings are actually what drive our physical reality.” Interesting! Another statement she made that gave me some peace of mind was that “Everything happens when we’re ready for it to happen.” This really makes a lot of sense because if we aren’t ready for something, then we aren’t going to understand it, or embrace it or learn from it. We can’t, because we aren’t ready! This is why I am always trying to “ready” myself by constantly seeking to learn new things. Anita talks about connecting with her deceased friend Soni during her sojourn on “the other side” and says that “my essence merged with Soni’s and I became her. I understood that she was here, there, and everywhere. She was able to be in all places at all times for all her loved ones.” This was quite interesting to me because many people ask how it is possible for their loved one to respond to several people at the same time. If they were watching over one person, then it seems logical that they cannot be watching over another. Yet this shows that’s not the case. This is something I’ve always believed and I’m excited that her experience validates this belief for me. Her experience with time was another issue that coincides with my beliefs and is also something my character Tess often refers to. Anita says “Time felt different in that realm, too, and I felt all moments at once. I was aware of everything that pertained to me–past, present, and future–simultaneously. I became conscious of what seemed to be simultaneous lives playing out.” Physicist have long laid claim to the concept that time…past, present, and future…happens simultaneously. This is where the concept of time travel comes from! How amazing that she came to understand this and experience it for herself. Also, she mentions her awareness of other lives! Since I am a strong believer in past lives and reincarnation, this resonated strongly with my own beliefs. 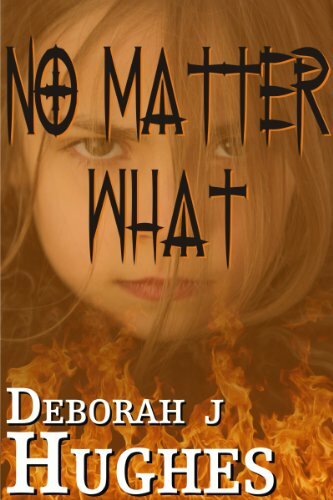 So much so that I even wrote a novel based on this very concept titled No Matter What! I loved that she realized her identity “here” in the earth plane is not who she is in the spirit plane! None of us are the same “over there” as we are here. In spirit we are loving entities and identify with no labels! Wouldn’t that be great if we could be like that here in our physical life? But we didn’t come here to be the same as we are “over there”. We came here to experience different identities and that is exactly what we are all doing. When we finally get to the point where we are the same “here” as “there” (when we cannot separate our identity in each realm) then there will be no need to come back (reincarnate). Another wonderful point she made is that we already have everything we need (for it lies within us) and that it’s accessible when we allow ourselves to open up to what is true within us. This piggybacks on the concept that all time (past, present, and future) exists at once. Since every possibility already exists, then whatever we desire (and not desire) has already come to pass. We just need to move through that reality and we do it through our belief in its existence! Our reality here, she believes, “is a playground of expression.” (what fun!) We are here (in physical life) to experience, explore and create. And guess what? The things we wish to obtain or attain to…is already ours to obtain or achieve! You just need to ALLOW it into your reality. That is done through belief and excitement!! Anita says that “everything I could ever want to happen in my life already exists in that infinite, nonphysical plane. My only task is to expand my earthly self enough to let it into this realm.” All you need to do is expand your consciousness to “allow universal energy to bring it into (your) reality”. Easy peasy, right? What I particularly like is the idea that we contain “all the resources” that we “need to navigate through life” and that is because we are “One with Universal energy.” She further makes the claim that WE “are universal energy”! Each one of us, she says, “has this magnificent, magical life force coursing through every single cell”. How amazing is that? How awesome are we!! The problem, of course, is that our busy lives and all the things we get caught up in “makes us forget that we’re connected to Universal energy and that we have these natural abilities”. When we start listening to and believing what others tell us, it turns us away from the knowledge of our own power. But, and I love this…”emotions are a doorway into the soul”. Wow. This is major. A big, freaking deal!! She says “our feelings about ourselves are actually the most important barometer for determining the condition of our lives!” Read that again. It’s worth it! One thing that is important to understand is the concept of “being” and “doing”. She explains it thusly: “Being doesn’t mean that we don’t do anything. It’s just that our actions stem from following our emotions and feelings while staying present in the moment. Doing, on the other hand, is future focused, with the mind creating a series of tasks that take us from here to there in order to achieve a particular outcome, regardless of our current emotional state.” One way to determine the difference is to identify your motivation…is it driven by fear or passion? If what you are doing is driven by passion then you are “being”. If what you are doing is driven by fear then you are “doing”. A big point she brings up is that if we “stop judging ourselves, we’d automatically find less and less need to condemn others”. Wow. What’s that say for all the judgments going on in the world today? Speaking of the world, Anita says “The external world mirrors what we feel about ourselves.” If that’s so, and I believe it is, then our world is filled with people who are filled with fear! Is it because of discontent with our personal lives? I believe so and so does Anita. “The Universe is contained with us, and what we experience externally is only a reflection”. She believes that no one is truly bad, not at our “core” (soul) and evil, she says, “is only a product of our fears”. If everyone was aware of their magnificence “then we’d no longer be driven by fear. We wouldn’t need rules and jails…or hospitals.” Wow. That, too, is huge! There’s a lot more shared in this book and it truly is worth a read!! I’ve read it twice and each time I gain more understanding. I don’t get to read as often as I’d like for I’m busy with my own books but I sure am glad I found this one and took the time to read it! So what do you think? Do you agree or disagree with the things Anita shares? Okay then, back to my own writing! Working on book 7 of the Tess Schafer-Medium series and finalizing a new edition of book one “Be Still, My Love” (I’ve learned a LOT as a writer since it’s publication and I’m applying those lessons to the new edition. Same story, but the telling of it, I believe, is better!!). Thanks to all for your support and encouragement! The letters and messages I have received about the Tess Schafer series are heart-warming and uplifting! 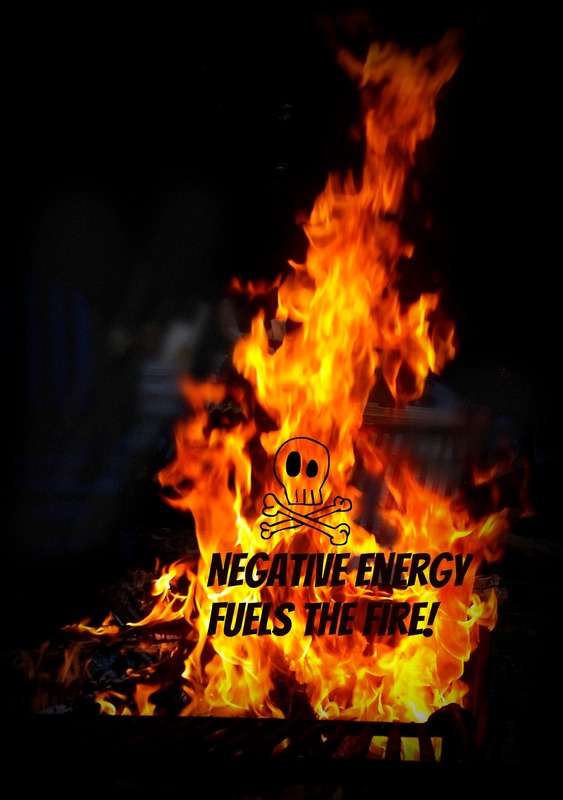 Negative Energy and How to Deal With it! It’s been a while since my last post and that’s because things have been busy, busy in my life! When I was younger I thought we young folks had more problems to deal with than the older generation. Now I realize the opposite is true! The drama never ceases does it? I know we came into physical life to experience all manner of things, good and bad, but it sure seems to me that it’s the bad stuff we must contend with more often. As to our being here to experience all manner of things…well I’m talking about our spiritual self, or as some call it … our “higher self”. Since our spiritual self does not live under the many restrictions we endure in the physical world, I can only surmise that we are here on a quest to learn how to overcome adversity … negativity in all its forms. Now why we need to learn that, I’m not sure. Perhaps it’s because even when we are in spirit we limit ourselves. So to help us break free of those limitations…we come into physical life. I mean really, if we can figure out how to overcome all the crap that happens to us here and do it without the benefit of our spiritual knowledge (thanks to our ego’s making us forget about where we come from and who we really are) well, we can overcome anything! Right? I’ve been dealing with negative stuff my whole life … in one way or another. If I’m not mistaken, I’m going to say that most of us have. Life is hard. Aside from acts of nature, which certainly do contribute to our pains and sorrows, the majority of the unpleasantness in our lives comes from humans. The fact is, and I don’t see how it can be argued, we each have the ability to make the lives of others (and ourselves!) either pleasant or unpleasant. Given that…why do people choose the latter? Is there truly any joy in making other people sad, upset and angry? It seems to me that we are moving into a direction where people are all about pleasing themselves without giving any consideration as to how that might affect anyone else. I don’t get it. But then, that’s why I’m here isn’t it? To “get it”…to figure it out…and break FREE! Although I would say the last twenty-five years of my life have been pretty good for the most part, they have also been some of the most challenging. I’ve had to deal with and overcome one unpleasant situation after another…and have done so! I always remind myself of that when things go sour. “Deb,” I say, “You’ve been dealt crap before and you got through it just fine, you’ll get through this as well!” Yeah, I’m my own cheerleader! In fact, we ALL should be our own best champion! Fact is, you must like you and be rooting for you before you can do the same for anyone else! 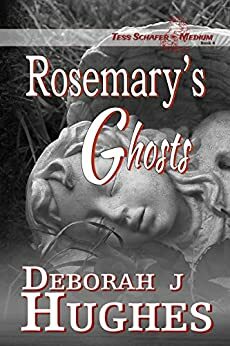 When I started the Tess Schafer-Medium paranormal mystery series, I wanted to write stories that explored the realms of spirituality and the supernatural. I wanted a character who was strongly connected to the spiritual world. 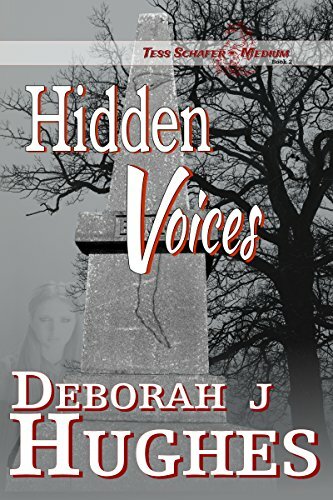 As story after story unfolded, I learned along with Tess about the possible encounters with the paranormal and what to do about them. As a result, I grew in understanding of things that were there inside me but never really expressed. My character deals with things that are on a much larger scale than anything I have had to deal with and through HER experiences, I am learning how to deal with mine. I am as fallible as every other human on this planet. Although I wish otherwise, I’m quite guilty of the fact that I get upset, angry, hurt and pissy. I can be riled to the point of wanting to strike back with the same venom that’s coming at me. Thankfully, I don’t stay locked into those nasty emotional states for very long. I’ve learned to pull myself rather quickly out of the quagmire those situations create. We are a reactionary lot, we humans. Many of us will react in kind to whatever is happening to us. When reacting to positive situations, well, everything is just hunky dory isn’t it? But when reacting to the negative stuff…oh boy, things can go from bad to worse in mere seconds! Luckily, although I often have a negative initial response to bad situations, I soon calm down enough to listen to that “small voice in the back of my head” (which is our soul speaking to us by the way!). Another “voice of reason” is my conscience (another means for our soul to speak to us!). After I react to a negative situation in a similar manner and things escalate…because that’s what happens when you fight fire with fire…you get a BIGGER fire, I withdraw from the siege and get myself back under control. Once I’ve accomplished that, I activate that light of mine and move into a more positive vibration. Although I wish I did this BEFORE things got worse, it’s hard sometimes to reign in charged negative emotions! When someone attacks us, that “flight or fight” instinct really kicks in! Now sometimes if you fire back bigger and better than what is lobbied at you, the other party will back off, but the fact is this: the situation is not resolved. It’s merely gone into “stew” mode. It’s brewing and getting worse. Eventually it will break out into yet another fire. Who wants to go through life dealing with all those dang, unpleasant, annoying and hurtful fires? Not me! 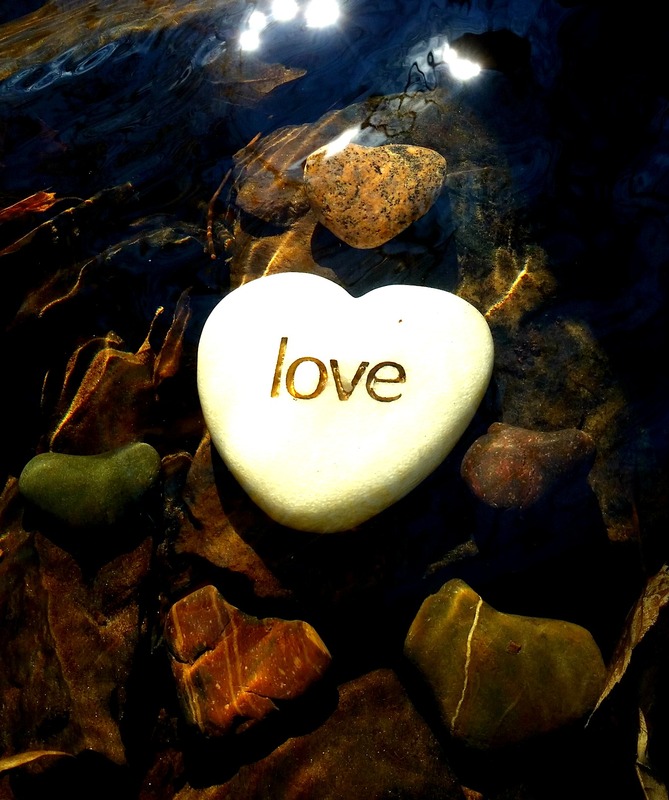 Seriously, the ONLY thing that conquers negative energy is love. That’s it. Nothing else. Now I know you can’t go around hugging your enemies but you can do this…you can use your spiritual power to calm the negativity between you! In my paranormal series, my main character Tess is constantly telling the other characters that they can use their spiritual energy by imagining a light within them. It is one of the most effective forms of protection you can ever use! So, here’s how to deal with negative energy. Here’s my “secret”. First, though, you must understand that we are all spiritual beings having an experience in the physical world. Our body is the vessel in which we go through the earthly experience. We are born into physical existence with an ego. Our ego helps keep us here (for otherwise, we’d want to go right back “home”!). Our ego makes us want to live as long as possible, to fight death, to fear it even. Our ego is what makes us react in kind to negative energy…it’s programmed to fight back so don’t feel bad about having those feelings! Our ego kicks in on a constant basis to help us ward off attacks by others and to keep us grounded in the physical world. Given that, our ego will accept only what it knows or strongly believes. I’m sure many of you have figured out that GETTING it to know and believe anything is NOT easy! The ego has a lot of defenses in place, but again, that’s to help us live in this crazy world! You see, our ego has put a wall of forgetfulness around the fact that we are spiritual beings with spiritual power! Some of us, however, have managed to get past the ego’s defenses (at least for temporary moments of time) and when we do, we can utilize our spiritual power! Meditation and Yoga is one way around the ego. Hypnosis is another. So is sleep! 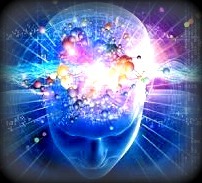 Our ego is connected to our CONSCIOUS mind so when we go inward to our subconsciousness (where we are operating from within our spiritual self) the ego has no effect there! Sometimes we can get our ego to accept things we learn during meditation or spirit contact but not always. It’s just another battle we must overcome…our ego and its blindness to spiritual truths. One way to get past the ego’s defenses is by use of our imagination! Our ego thinks…oh, that’s just pretend stuff, all in the head, it’s not REAL…and so it doesn’t interfere! But understand this…the spirit world DOES exist, we ARE part of it, and our imagination allows us to connect and interact with all that’s “there”. I put quotes around that last word because in actuality there is no “there”. We have only HERE. Our third dimensional mindset, though, can only comprehend things spatially and linearly. Meaning we have “here” and “there” as far as space and distance are concerned, and when it comes to time we think in terms of “now” and “then” or “later”. However, in the spirit world, there is only NOW. But that’s for another discussion and not this one. Let’s get back to protecting ourselves from negative energy. So, although we are in a physical body which is ruled by the ego, that doesn’t mean we cannot interact with our spiritual self. We need only to become AWARE of it! So, given that, we can tap into our spiritual power whenever we focus inward. If you can’t BELIEVE that, then fine, PRETEND it! (the “fake it till you make it” mentality at work!). So, imagine this: within your physical body, you have your spiritual center…your spirit body if you will…and when you are not putting any focus on it, then it is dormant and lets us experience the dramas of life however our ego plays them out and reacts to them. BUT, if we consciously focus on it…BOOM! Our spiritual power is accessible to us! Now here’s something important to remember…when your intention is based on LOVE, the energy is positive and great things will come of it, but if you access your spiritual power with negative intentions, well, things are only going to get super worse, super quick! Spiritual energy is driven by intention, as I mentioned earlier. Okay, now that you are imagining this “ball of energy” (for lack of a better way to explain it) within you, picture it growing bigger and brighter until it is filling your entire body. 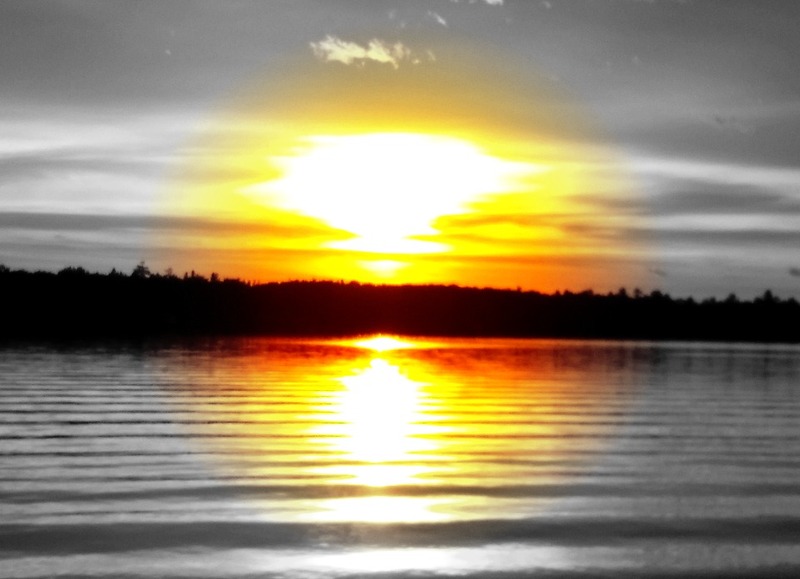 Once you have this image clear in your mind, imagine that light is glowing outwardly all around you. This spiritual light protects you from negative energy. However far you expand it out around you, that’s how far from you the negative energy will withdraw. If this energy is coming from a person (and it usually is), then surround them with light too. Now, you can’t overcome another person’s will and make them feel or do things BUT you can dissipate the negative energy between you and they will back off. You see, it’s THEIR choice if they want to continue with their negativity but its YOUR choice not to let it affect you. Their bad energy cannot affect yours if you are “powered up”. Our spiritual energy brings calm to us. It protects us from receiving more harm. Others can’t launch attacks at those who are encased within the protective shield of their spiritual light! They just can’t do it! If you are in a place where bad energy is going on then quickly imagine your inner light growing bigger, brighter and surrounding you. Once you’ve got that vision in place, expand it out into the space around you and watch the negative energy withdraw! Your spiritual light is REAL despite the fact that you are using your imagination to access it! By FOCUSING on it, you bring it into your conscious awareness, and when you place the INTENTION of protection upon it, then that is exactly what it will do! Intention, as I said…and it’s worth repeating…drives the spiritual force within you! Just understand this: you can’t control others with your light, you can only ensure their negative energy can no longer affect you. Although the chances are they won’t understand why, they’ll take their negative selves and beat a hasty retreat! After a recent incident where negative energy was lobbied at me and my family, I came to understand that I need to be more aware of myself in the spiritual sense, especially when situations like that occur! I need to remember to work with my “light” instead of trying to return the negative energy with more of the same. This recent experience really opened my eyes to the fact that I have a lot of work to do in this area of my personal development. I’m determined to do better about not getting sucked in to the negativity of others. As soon as I sense it going on…I’m activating that light of mine and dealing with it in a POSITIVE manner. At least, that’s what I am going to strive to do! I know my ego is going to interfere as often as possible but I’m going to keep working at it until I have it mastered! Besides, there’s too many great things happening to give focus to the bad stuff. My motto is this: All things work out in the end, so if it hasn’t “worked out” then it’s not the end. To make that motto really work for me, I need to use my light a lot more! So with that, I’ll end this post. PEACE be with you all! 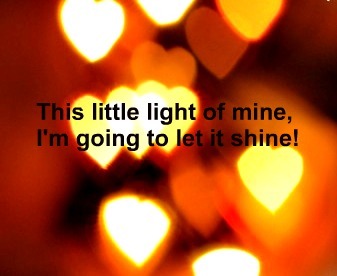 And here’s to that light of yours…let it shine, let it shine, let it shine!